For immediate release For more information, contact: Teresa Weybrew Director of Sales Sports Travel and Tours (800) 662-4424 Sportstravelandtours.com HATFIELD, MASS.—This baseball season, pack your bags for six days filled with games and attractions galore during Sports Travel and Tours’ Texas Two Step High program. With stops at the Space Center Houston, the National Ballpark Museum and 16th Street Mall in Denver, Colorado, there is truly something for everyone. The trip hosted by the travel firm in Hatfield, Massachusetts, begins Tuesday, May 31 with a trip reception in Denver, and on Wednesday, the trip truly kicks into high gear with a 75-minute tour of Coors Field featuring stops at the dugout, the visitor’s clubhouse, the press level and the Wells Fargo Club. Following the tour, travelers can take advantage of some retail therapy at the mile-long 16th Street Mall before moving onto the National Ballpark Museum. The museum prides itself on one-of-a-kind treasures, including those from all 30 major league teams. If you have a soft spot for the state, the museum also has plenty of memorabilia from the Denver Bears and the Colorado Rockies. Later, travelers will return to Coors Field to see the Rockies in person as they take on the Cincinnati Reds starting at 6:40 p.m. On Thursday, travelers will embark, by plane, to Houston, and, on Friday, it’s time for a tour of Minute Maid Park, which highlights the historic Union Station, the broadcasting booth, the press box, the luxury suite, the dugout and the bullpen. Moving on to the Space Center Houston, a marvelous museum of space artifacts and exhibits, travelers will go behind the scenes of America’s exciting space program, even touring NASA’s Johnson Space Center. The trip is rounded out with two more games: the Houston Astros versus the Oakland Athletics at Minute Maid Park Friday at 7:10 p.m., and the Texas Rangers versus the Seattle Mariners at Globe Life Park in Arlington Saturday at 8:05 p.m. Learn more about the Texas Two Step High trip. 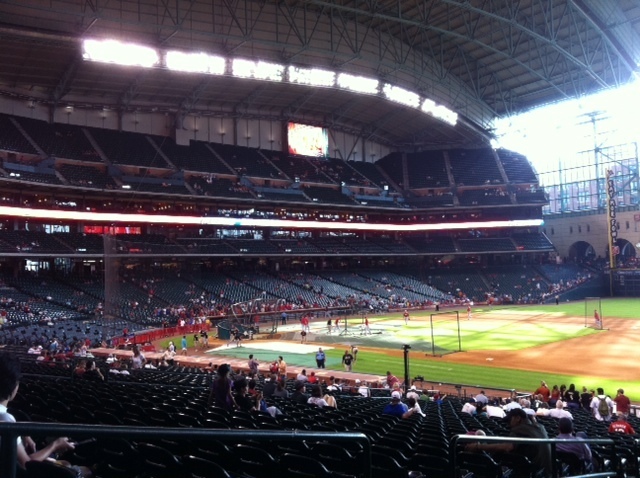 Sports Travel and Tours’ Texas Two Step High trip will offer three baseball games and tours of two stadiums: Coors Field in Denver, Colorado, and Minute Maid Park in Houston, Texas. Here’s a look at what you can expect to experience at each. 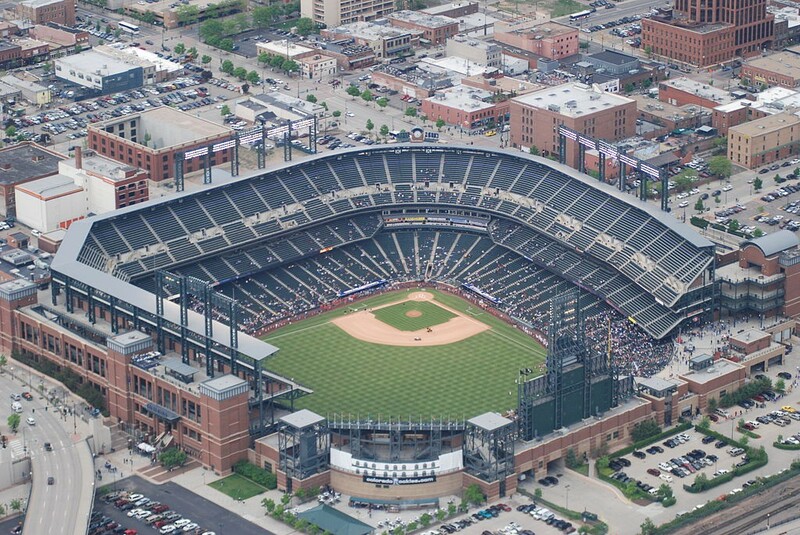 Coors Field Date/Time: The tour, which is scheduled for Wednesday, June 1, is expected to last between 70 and 80 minutes. Tour Stops: All tours begin at Gate D, located near the intersection of 21st Street and Blake Street in Denver, and cover a distance of about one mile (the field itself spans 76 acres) so make sure to bring comfortable footwear! Some of the areas seen include the dugout, the visitor’s clubhouse, press level, suite level and the Wells Fargo Club. You’ll find that there are many ways to enjoy the game at Coors Field, like in the press club’s premium seating area behind home plate, or in the Wells Fargo Club, where a wait staff provides food service directly to each seat. Notable Eateries: Wazee Market (in section 137) or Wazee Bar (in section 135) Blue Moon Brewing Co. at the Sandlot (behind section 112 on the Main Concourse) Clocktower Bar (in section 331) Minute Maid Park Date/Time: The tour, which is scheduled for Friday, June 3, is expected to last between an hour and an hour and a half. Tour Stops: Although locations are subject to availability, the regular tour highlights historic Union Station, the broadcasting booth, the press box and the luxury suite. All tours commence from Union Station, now considered a symbol of the important role the railroad played in Houston’s history. Dedicated in 1911, the station now features the Official Astros Team Store and a café in the lobby. On the upper floors you will find the state-of-the-art AT&T Conference Center, the executive offices of the Houston Astros, and, last but certainly not least, the Roof Deck and Club House on the sixth floor, where private groups of up to 100 can get an incredible view of the game and the city beyond. Guests even get to venture down to the field itself to explore the dugout, the bullpen and the manual scoreboard. If you want to experience what the stadium looks like from the unique point of view of the player, this is the tour for you! Notable Eateries: Texas Legend Grill (located in section 134) The FiveSeven Grill (in section 156) The Caz (in section 230) On Saturday, June 4, travelers will also stop into Globe Life Park in Arlington for a game between the Texas Rangers and the Seattle Mariners. However, a tour of Globe Life Park is not included in the Sports Travel and Tours package. Learn more about the Texas Two Step High trip, which is scheduled from Tuesday, May 31 to Sunday, June 5.